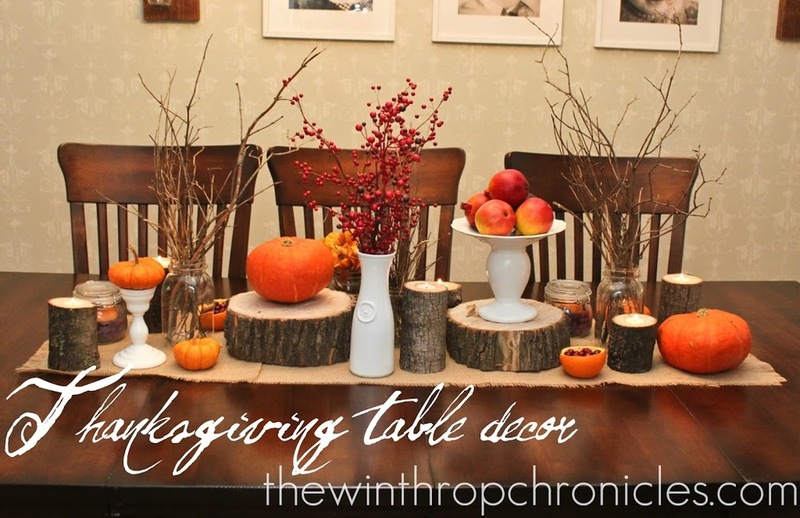 I definitely went back to nature for this year's Thanksgiving table setting. Not only do I like how it looks, going "back to nature" is pretty inexpensive. My neighbors had a tree that had fallen down, so all of the wood used was from their tree. I made some candle holders by drilling a hole in the top of a cut log and then placed a tea light candle in the top. I bought some pumpkins and cranberries from the grocery store. I cut the insides out of an orange to hold some cranberries. I love the smell of oranges and cranberries. I bought these little jars from IKEA and filled them with cranberries and orange peels. Come back next Wednesday to see what I did to make some seating place holders for guests at your Thanksgiving dinner.